One day after Twitter went public, the stock is trading at around twice its initial offering price. Hindsight is 20/20 but it’s worth asking: Why were we so afraid to buy in? Twitter has, of course, faced its share of ridicule since the first 140-character message was sent in 2006. But as the smoke clears from its successful IPO, many of the haters have been proven wrong. 1. Twitter is just a bunch of kids taking pics of their lunch. 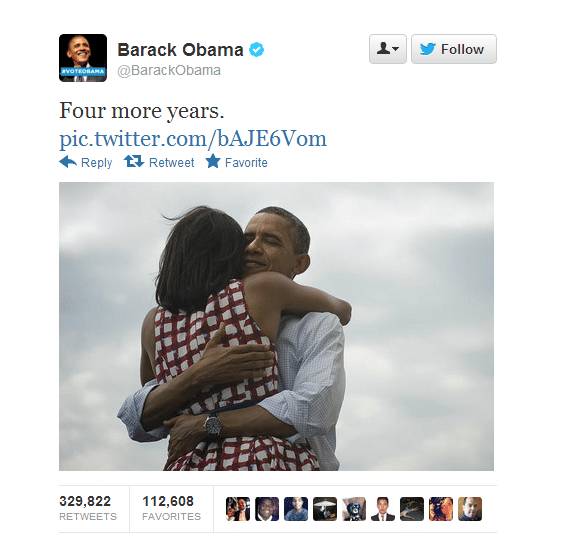 In 2012, Barack Obama announced his reelection with this Tweet, which became the most popular Tweet in history. Behind the scenes, his campaign team leveraged Twitter and other social media platforms to build support during the 2008 and 2012 elections. So much for kids taking selfies. 2. Social media is a fad. The planet’s largest companies rarely chase the latest fads. Their businesses, which employ millions of people around the globe, are built around avoiding risk and making calculated decisions. So when 77 percent of them embrace social media as a business tool, it’s a fair bet that Twitter is not just a passing fancy. 3. You can’t make money on something you give away. This issue of revenue has hounded social media from the beginning. “Sure, you’ve got millions of users,” the argument goes, “but how are you making money?” This hardly seems worth a rebuttal. Radio stations and TV networks have given away programming for more than a century, supported by advertising. What Twitter and Facebook have done is bring this same concept into the social media era, in many cases improving on it with better-targeted and less obtrusive social ads. It’s not exactly rocket science. 4. 140 characters isn’t enough to say anything. What can you possibly say in 140 characters? Well, a lot it turns out. 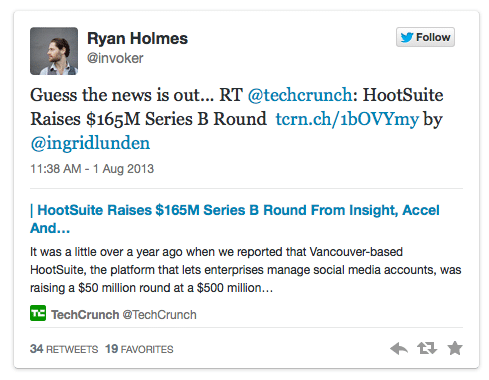 First off, a few hyperlinked characters in a Tweet can open up the whole web’s worth of content. But Twitter’s acolytes have found ingenious ways of compressing data even without links. 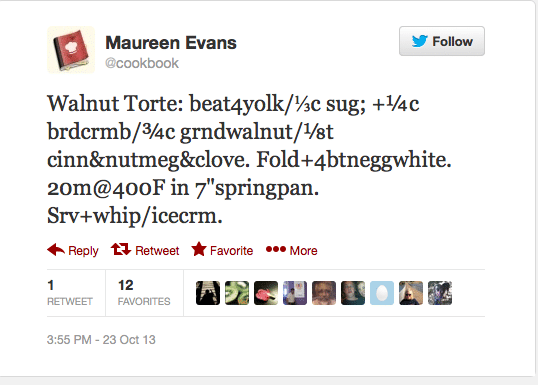 More than 200,000 people follow Maureen Evans @cookbook Twitter profile for her 140-character recipes, for instance. I’d highly recommend the walnut torte. 5. If it’s free, it’s a toy. It’s interesting to think how prevalent this attitude was before smartphone apps and social media entered the picture. Twitter, Facebook and other social media tools have radically changed the perception of free, finding creative ways to monetize without charging users. Apart from social ads, companies like Skype, Dropbox and HootSuite have been at the forefront of freemium pricing, offering solid basic services for zilch, while allowing power users to upgrade for a cost.